No time for Gwent? Use Axii to win. Gwent is great, but sometimes you simply don't have time for it. 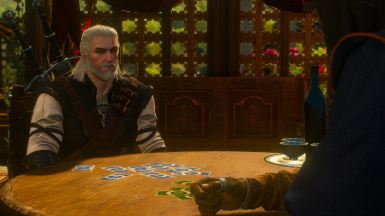 Maybe you're on a very important mission or maybe you're playing the game for the 10th time and you don't want to play each and every game of Gwent, while you still want to collect all the cards, so you can complete the Gwent related quests. With this mod you can use Axii to win when you don't have time, by pressing 'N' during Gwent. 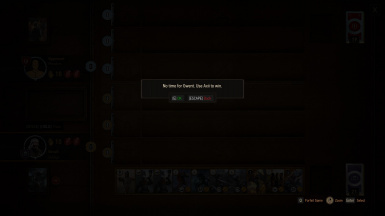 Note that you have to start the Gwent game, as pressing 'N' while you're on the Deck screen won't work. And, of course, you're not really using Axii, it's just to fit into the story. Download the archive and extract its content to the 'mods' folder of the Witcher 3 game. If the 'mods' folder does not exist, create it. Make sure you haven't missed the second step from the installation instructions. To rmemr for w3strings encoder.